From the Pastor: Satan Is Real! There is a very strange story about Pope Leo XIII and the Prayer to Saint Michael the Archangel. The Holy Father was at prayer during Mass in 1884, and suddenly he fell to the ground. Some reports say that when those with him came to him, he had no pulse. As they tried to revive him, he suddenly woke up and said that he had been shown terrible things. Pope Leo later told that he had a vision in which he heard a conversation between God the Father and Satan. Satan asked for one century in which to do his worst and to show that he was still the one in charge of things on the earth. In some versions of this story, God granted Satan his wish and the 20th century was given to him. In another version, Saint Michael the Archangel appeared and drove Satan away. Although there is no definitive account of the story, the second makes more sense to me, for why would God agree to such a request|? Nonetheless, Pope Leo feared for the Church and the world so much that he composed the Prayer to Saint Michael the Archangel and had it recited at all Masses. Those of us old enough to recall the pre-Vatican II Mass remember praying that prayer every week. A very good case can be made that the 20th century was, in fact, the work of the Evil One. The two World Wars, the Cold War, the Holocaust, the slaughter of millions of people by Hitler, Stalin, Pol Pot, and others, the development of and use of nuclear weapons, and the killing of millions of children through legalized abortion make the 20th century the most bloody and murderous in all of history. In addition to this, the sexual revolution has resulted in severe damage to the family and to children growing up in poverty. When the reform of the liturgy, after the Council, took place, the Prayer to Saint Michael the Archangel was dropped. For many years, there have been bishops, priests, and laity who have requested that the prayer be reinstated in the Masses. That request has become much stronger in the last few months, as the sexual abuse crisis has risen once again. 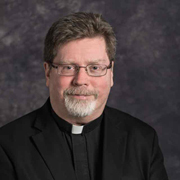 Many of the bishops of the United States are giving permission to parishes to include the Saint Michael Prayer, and Bishop Foys has done so in our own diocese. It is up to each parish to decide whether to use it or not. I was one of the priests who requested that we be permitted to use it, and so we will do so here at Mother of God. Pope Francis, and I have been criticized for saying that the Church is under Satanic attack. I think there is misunderstanding about what is being taught. My guess is that people think we are saying that those priests who abused and those bishops and others in positions of authority who covered up and moved around those abusers are not to blame. The Devil made them do it! That is not what is being stated. The Devil cannot overcome the free will of an individual. He can only tempt us to do evil—he cannot make us do evil. He can tempt someone to abuse, but he cannot force someone to abuse. That requires their free-will decision to act on the temptation. Satan cannot force a bishop to cover up and enable an abuser. He can only tempt them to do so by suggesting that this is the best way to handle the matter. But the individual must accept the temptation and act on it. This is true for all of us, as we face temptation. By stating that the Church is under Satanic attack, we are saying that Satan has indeed launched his attack on the leaders of the Church, tempting and misleading them to perform terrible acts against children and others. He has influenced leaders to allow a culture in which sexual acts by priests are accepted and tolerated. And he has been incredibly effective. The Church has always been under Satanic attack. He definitely wants to destroy the Church, and failing to accomplish that, to destroy her witness and her effectiveness in the world. There is a telling scene in the Book of Revelation, where the Devil is seeking to destroy the Woman Clothed with the Sun (the Blessed Mother) and her child. He is prevented from doing so, and the Scripture tells us he then went about seeking to make war on her other children (you and me and the entire People of God). We pray the Prayer to Saint Michael the Archangel because Satan is real and he truly wishes to destroy the Church of Jesus Christ. He also wishes to destroy each of us. Make the Prayer to Saint Michael the Archangel part of your daily prayer, especially when you are facing temptation.